Your siding plays a big role in keeping your home beautiful and keeping your household protected against the elements. Like your roof, it comes in an array of materials, each having their own unique characteristics. Nelson Exteriors, your trusted Atlanta siding contractor, takes pride in our partnership with James Hardie®, the industry leader in providing siding materials. 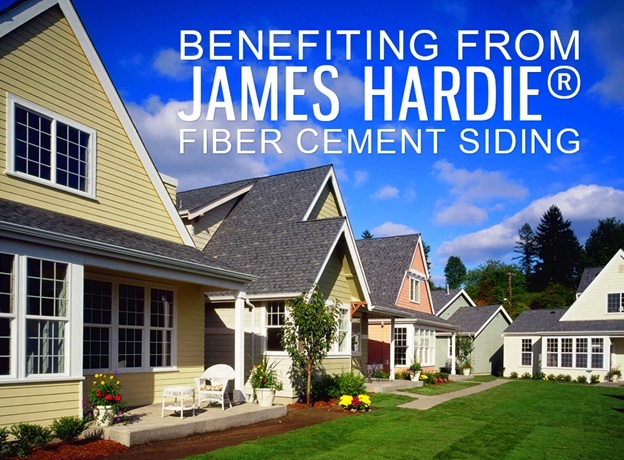 Let us show you the features and benefits of our popular James Hardie fiber cement siding. Our fiber cement siding replacement in Marietta can withstand your local area’s harsh weather conditions. It can resist strong winds and humidity for a long time. It can also keep the elements out, ensuring you a cozy atmosphere at home. This will keep you from overworking your HVAC units, which can drive up your energy bills. Furthermore, it comes with a special paint adhesion that makes it resistant to moisture, making it an ideal siding option in the region. James Hardie fiber cement siding in Atlanta comes with ColorPlus® Technology. This is a special finish designed to withstand the effects of the elements for a lasting period. It will not crack, warp, rot, or fade, reducing the need for maintenance. Our fiber cement siding can make your home more beautiful. It is available in a wide range of colors to complement your home’s architectural theme. You can also count on our design experts to help choose the best color to suit your home. Our certification with James Hardie lets us provide you with their 30-year limited, transferable warranty. This will assure you that our product will continue to deliver as expected. In the rare instance that our fiber cement siding performs sub-optimally, you can expect us to fix it. If you are in the market for siding that can enhance your home’s curb appeal and protection against the elements, then go for our James Hardie fiber cement siding. Call Nelson Exteriors today at (678) 283-8171 for more information about our products.